Much of my research centers around the ecological process of larval dispersal. 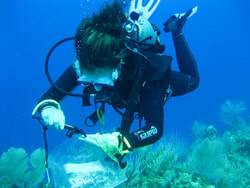 I use an integrative approach to study the patterns, causes, and consequences of larval dispersal and population connectivity using the Caribbean reef fish Elacatinus lori as a study organism. So far, this work has revealed (1) remarkably short dispersal distances, despite a 26-day larval phase and (2) consistency between the scales of demographic and genetic connectivity within the metapopulation. Future collaborative work will focus on validating the dispersal kernel using alternative genetic methods and biophysical models. 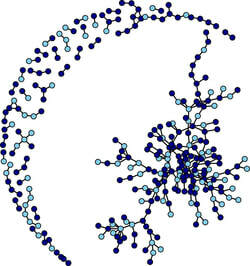 The distribution of kin within populations can impact processes such as kin competition, inbreeding, and kin selection. To date, evidence for within-population kin aggregations has been mixed for species with a dispersive larval phase. I am combining genetic and mathematical approaches to understand how kin groups form. Using high-throughput amplicon sequencing and network theory, I detected spatial networks of E. lori siblings. 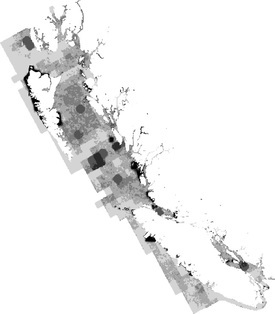 More generally, I am developing mathematical models to explore how stochastic demographic processes and collective dispersal can shape spatial patterns of kinship. The field of seascape genetics is generating new insights into how demographic processes, selection, local ecology, and seascape features shape the spatiotemporal distribution of genetic variation within marine metapopulations. My current empirical work uses a comparative population genomic approach (ddRADseq, amplicon sequencing, mitochondrial genome sequencing), to resolve fine-scale patterns of spatial genetic structure and relate these patterns to seascape drivers. A major goal of protected area network design is to ensure the long-term persistence of species with diverse life histories. Connectivity between protected areas is generally thought to be central to achieving this goal. With collaborators, I am developing conceptual models related to connectivity and conservation planning including: (1) how to consider connectivity across life stages for multiple species; (2) how permanent and dynamic protected areas can be combined to design climate-adaptive spatial networks; and (3) how genomic data can be used to optimize connectivity and adaptive potential within networks. In the sea, barriers to gene flow are generally assumed to be much more permeable than those on land; yet, there is growing evidence of cryptic genetic lineages across marine taxa. 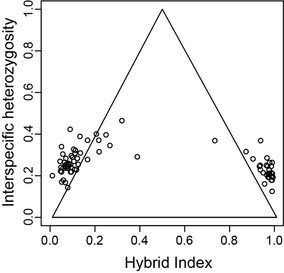 I am using targeted amplicon sequencing to uncover spatial patterns of admixture and hybridization across a marine hybrid zone in the southern Mesoamerican reef. 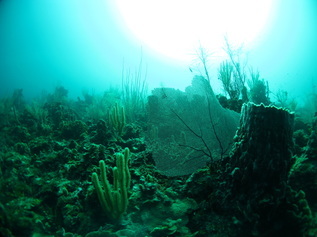 Future work will (1) integrate behavioral and morphological data to explore the co-occurrence of phenotypic divergence and (2) test for local adaptation to unique reef environments. Coalescent theory and extant genetic data can be combined to infer the demographic history of populations. As an undergraduate, I collaborated with professors at Middlebury College and scientists at the US Fish & Wildlife Service to explore the history of sea lamprey (Petromyzon marinus) in Lake Champlain. We used Bayesian coalescent models to estimate population fluctuations since the end of the Pleistocene.